What is an Affirmation? An affirmation is a declaration that something is true. When affirmations are used over time they can be referred to as a practice or daily prayer with intention of a positive outcome – and that includes for battling fertility and infertility. I was working the other day pouring over all of the woes of infertility and POP, an affirmation came into my mind. It was- Thank you womb for hugging, nourishing and protecting my sons for their first months of life! All of this daily suffering made me think of what I am grateful for. This one affirmation led me to think about how much I use affirmations daily in my own life, to help transform negative views I have about myself and our world. I have a calendar from Sarah Love Creations on my bathroom wall that has small daily affirmations, I keep it by the mirror so that each new day is started off on a positive thought. 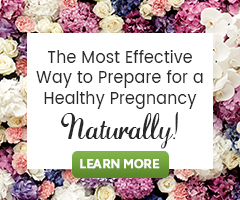 I urge all of you to take the time to create an affirmation for your fertility journey. It can be simple, just a word, thought, prayer, a line of your favorite song. The only requirements are that you not use any negative words. Words such as can’t, someday, no, won’t, not, etc. I have put together some affirmations for fertility. Feel free to use them and to submit some of your own! You have the power to change your present circumstances! When using an affirmation, take a small amount of time, just a long moment to center yourself, take a few calm breaths and really take the affirmation into you. Become the affirmation. The Women and Men titles are just suggestions, they can be interchanged where appropriate. My body is a fertile place worthy of conception. I am grateful for and love my body and all it does for me. My womb is strong and fertile. I feel safe, supported, and loved through my fertility journey. I am already healing my body, everyday it heals more. I am grateful that I am a woman. I support and love my husband (partner) through our fertility journey. My menstrual cycle connects me to all women. I am working with my body in a loving way to get my menstrual cycle back. I am worthy of love, life and happiness. My fibroids are dissolving with each loving thought I have for my fertility. My womb is a healthy place that will nourish my baby. I love and support my wife on our fertility journey. I am worthy of happiness and abundance in all circumstances. I believe I can change my fertility. I am patient with myself and my support system. I appreciate all my body is capable of. Today I stand strong with a loving heart. My sperm are the seeds of a healthy future. I have control over my thoughts. I have the confidence to ask for help and receive help when I need it. Thank you for your techniques. Affirmations are a great way to bring your mind up to speed with your desires. The power of positive thinking is so effective even the medical establishment has a hard time disputing it. Affirmations are a great way to get your head in the right direction to move your body into action.